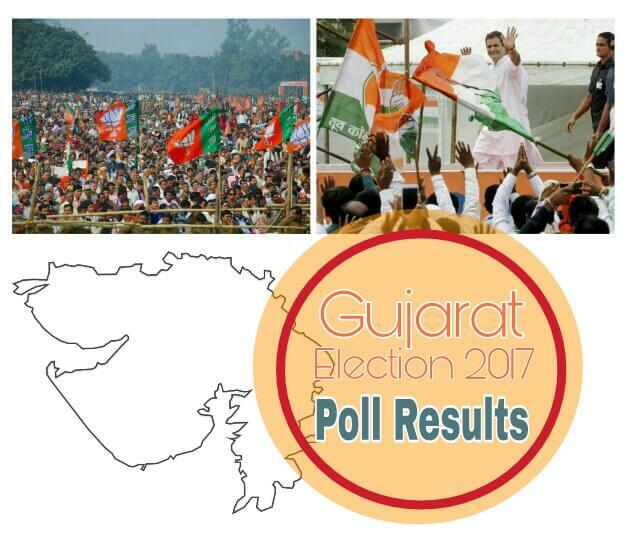 Home GUJARAT NEWS Gujarat Election 2017: What Various Polls State about the Winner? Mumbai: The entire past week has been focused politically on the Gujarat Election which was held on 9th December and 14th December 2017. The counting of votes will take place on December 18. All 182 members of the Gujarat Legislative Assembly will be elected and the leader of the largest party or coalition will become the next Chief Minister. As of now, various exit polls are predicting a convincing victory for the BJP. 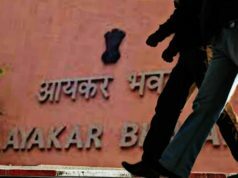 The newest concept to be included in these elections is the inclusion of VVPAT-EVM. What is VVPAT-EVM you ask? Voter Verifiable Paper Audit Trail (VVPAT) or Verifiable Paper Record (VPR) is a method of providing feedback to voters using a ballotless voting system. A VVPAT is intended as an independent verification system for voting machines designed to allow voters to verify that their vote was cast correctly, to detect possible election fraud or malfunction, and to provide a means to audit the stored electronic results. It contains name of the candidate and symbol of the party/ individual candidate. Also Read, Gujarat Assembly Election 2017: Who Will Be The King Of Gujarat This Time? VVPAT-fitted EVMs will be used in entire Gujarat state at 50,128 polling stations in the 2017 elections. This was the first time that the entire state will see the implementation of VVPAT. 43.3 millions are registered voters in Gujarat as on September 25, 2017. Now moving on to the Exit Polls, let’s see where the two major parties in Gujarat namely BJP (that currently is already in power) and Congress (trying to win these elections) stand. Reported by India Today, The exit poll projects that the BJP will bag between 99-113 seats in the 182-seat state assembly. 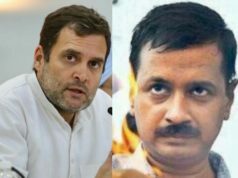 The Congress alliance is expected to bag between 68-82 seats. For the BJP, which has been in power in Gujarat since 1995, the 2017 election was a bruising battle. Anti-incumbency built up over 22 years did hurt the image of the saffron party in the 2017 elections but the pride associated with having a Gujarati as Prime Minister and a formidable election machine led by BJP president Amit Shah helped the BJP cross the finish line. 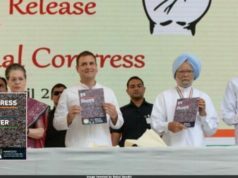 For the Congress, which was not even considered to be in the race in the Gujarat polls, the exit poll suggests that the party has put up a stronger performance than in the last elections. 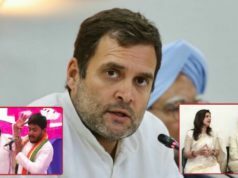 But the voters have shown that while Rahul Gandhi may have upped his game, he still has a long way to go before being able to catch up with Prime Minister Narendra Modi. According to Times of India, the Exit poll results which are out suggest that if numbers are to be believed, the BJP will emerge as the single largest party in Gujarat, beating the caste-conscious Congress coalition by winning as many as 111 seats in the 182-member legislative assembly. 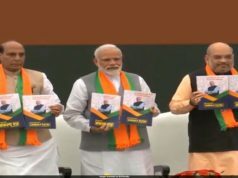 While it is highly unlikely that the Congress will make a comeback in Prime Minister Narendra Modi’s home state, the party is expected to better its performance since the 2012 assembly election. Coming to the seat-share, TOI Online-CVoter predicts that the saffron party will lose 4 seats to finish at 111, while the Congress will gain 10 seats to consolidate its position with 71 members in the assembly. Despite retaining power in the western state, the BJP has lost some of its appeal to the people, exit polls indicated. The saffron party will lose 0.9 per cent and 4.2 per cent of its vote share in central and south Gujarat respectively. TOI Online-CVoter shows a swing of 5.7 per cent of the vote share in Saurashtra in the Congress party’s favour, as well as gains of 5.6 per cent and 1.9 per cent in south and north Gujarat respectively. On the other hand, the BJP will witness an overall gain of 0.6 per cent of the vote share in all four regions. Similarly, the saffron party will lose 7 seats in south Gujarat and 2 seats in north Gujarat, the TOI Online-CVoter exit poll shows. With the major News channels and newspapers predicting in their exit polls the victory of Modi led BJP, no one can fail to notice the level of game Rahul Gandhi led Congress has shown. 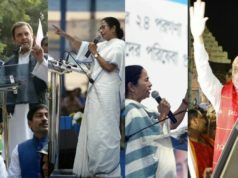 While expecting a clean sweep for Modi in his home state, it came as an unexpected shock when Rahul Gandhi leveled up and gave an almost cut throat competition. Though Rahul Gandhi has given a good competition to BJP, he still lacks some seats to match up to Modi and form a ruling party in the state of Gujarat. The rest will be shown on December 18, the ‘D-day’.